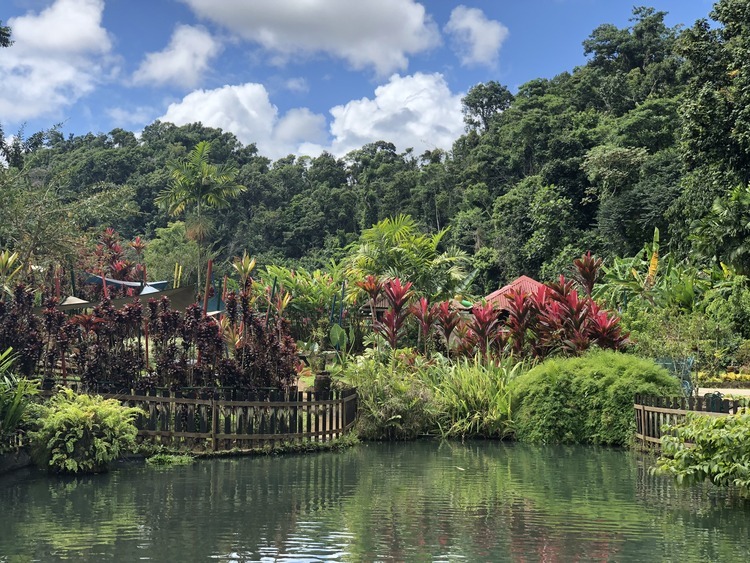 Allow ourselves to be carried away by the beauty of Basse-Terre: a unique opportunity to visit this splendid volcanic island and its thriving vegetation, which is at its best in the gardens of the Domaine de Valombreuse and the National Park. We leave the port by coach and head to the Domaine de Valombreuse, the largest park in Guadeloupe. Engrossing with its exceptional richness, this botanical garden is considered one of the most beautiful on the island. During the visit, we will be able to sample delicious locally produced fruit juices. We will continue our tour passing through the National Park of Guadeloupe, founded in 1989 to protect one of the most beautiful forests of Lesser Antilles as well as numerous animal and plant species which live here. We will stop at Crayfish fall, a genuine paradise, with its emerald green waters and the marvellous breeze offered by the thriving vegetation. After having passed the magnificent sugar cane plantations, which, in the past, covered almost the entire island and which are still found almost everywhere, before returning, we will visit an authentic Caribbean distillery, t taste one of the best rustic rums of the Caribbean.